The unveiling of various smartphones with awesome features is great but on the other hand they increase our demand for data causing us to spend more especially in a country like Nigeria where capitalist telecommunication companies are always on the move to rip off individuals with their high data costs. Thankfully though, the existence of more than one telecommunication company in Nigeria makes room for competition where each network try to go as low as possible in terms of data plans just to get our attention. 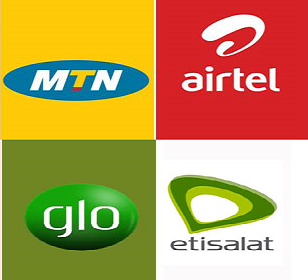 Today I’m going to give you the updated data plans and their subscription codes for the major networks in Nigeria, I.e, MTN, AIRTEL, GLO and ETISALAT. These plans work on all devices so let’s go there! you N2,000 and will last for a complete one month. * 4.5GB: 1 Month, N2,500, To activate: Text ‘102 to 131’. 2GB for night hours; 9pm to 9am). Android mobile to activate it with the desired SIM Card). * For 3GB: Send “COMONTH to 777” in a text message. Cost N1,000 for a whole one month or dial *777*21#. * 58 for 4.5GB @ N2,500 send all the above ‘codes’ to 127.
on that ‘send info to 127’ in a text message. choose one (1) again, then press 2 and lastly choose 1. Valid for 30 days. or simply dial; *777# send to begin. conservative plan in Nigeria’ by Brainnews NG). Facebook, Twitter, BBM, Whatsapp & 2go . *474*1# to activate. Data Bal. Dial *140#. I hope you find the most suitable plan for you. Enjoy!